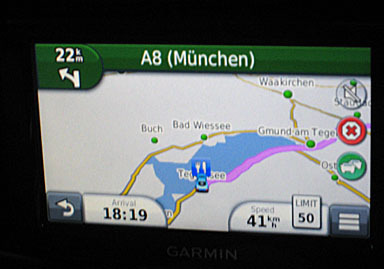 As a newcomer to Germany, I wouldn’t be able to make it around the street corner without my GPS. It’s truly a marvelous piece of modern technology. There’s only one problem…I don’t speak German. And now I’m realizing that I don’t speak English, either. I mean English English – the kind Brits speak. The nice lady on my GPS tries very hard to pronounce German words with her British accent…and she fails miserably. This isn’t actually much of a problem since the Germans use microscopic print for their street name signs and I can’t read them anyway. So if you hear a story about a woman driving her car into a German beer garden, it’s probably just me trying to understand my GPS. By the way, can someone please tell me what a slip road is?